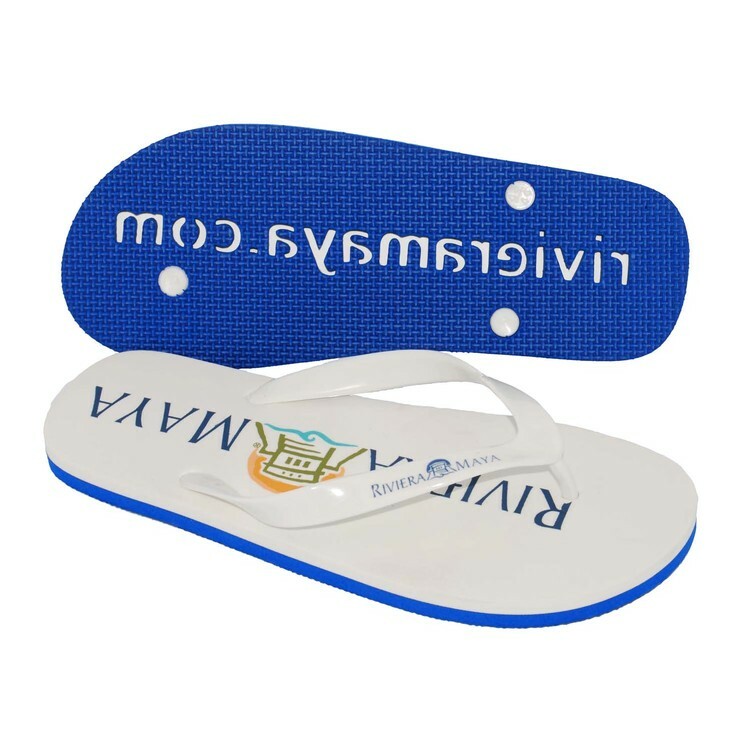 The "Newport" Flip Flop Sandal w/ Vinyl "Jelly Straps"
Our 2-layer Newport flip flop offers the popular “Talking Footprint” option that leaves your logo in the sand. The fun vinyl "Jelly" Straps can also be imprinted. 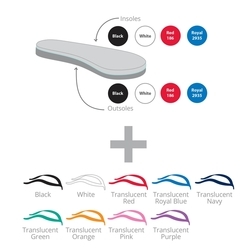 You can also mix and match sole and strap colors for a completely custom look. 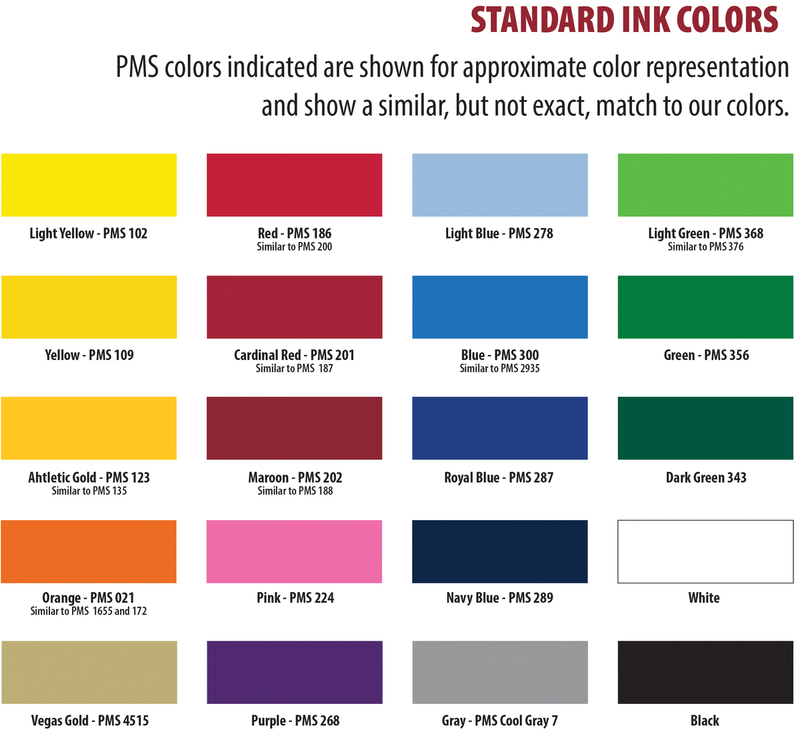 Additional Colors: Setup $45(G) per color, plus $.70(C) run charge per color. 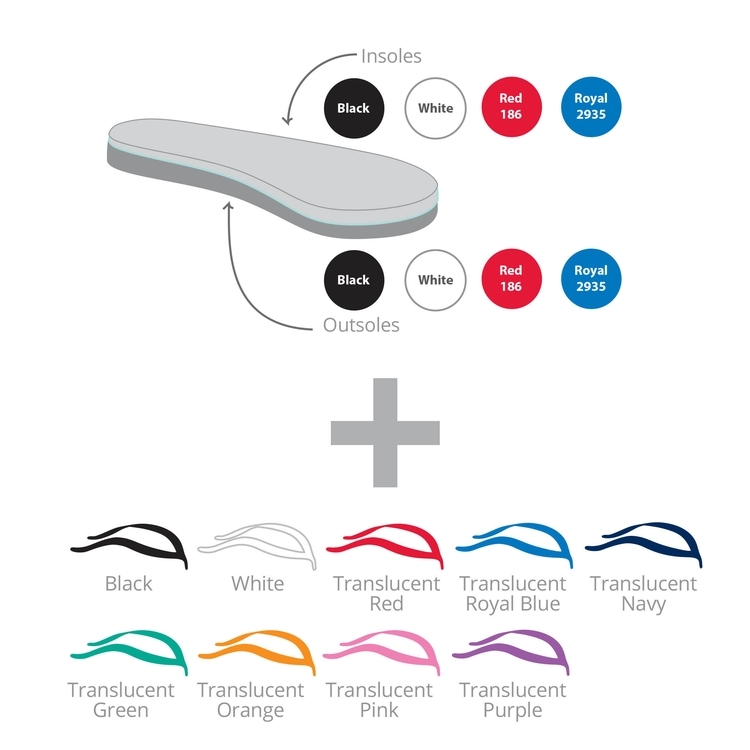 Max 4 colors on insoles. 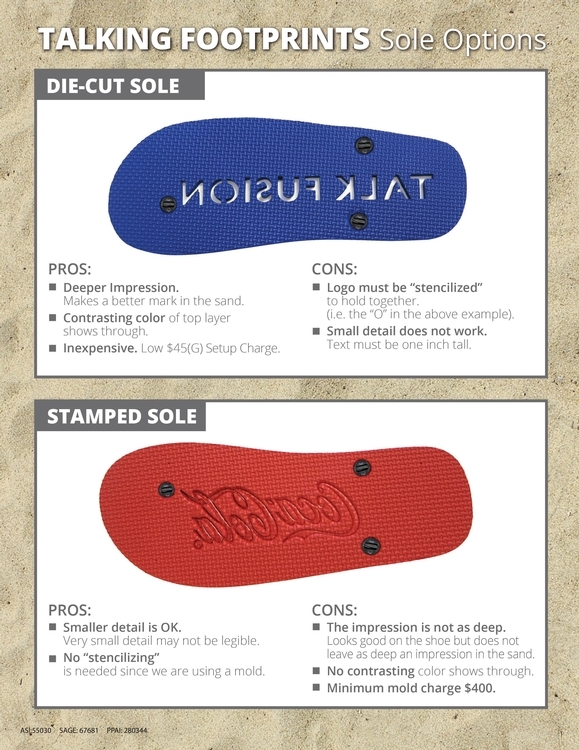 Max 1-color on strap. 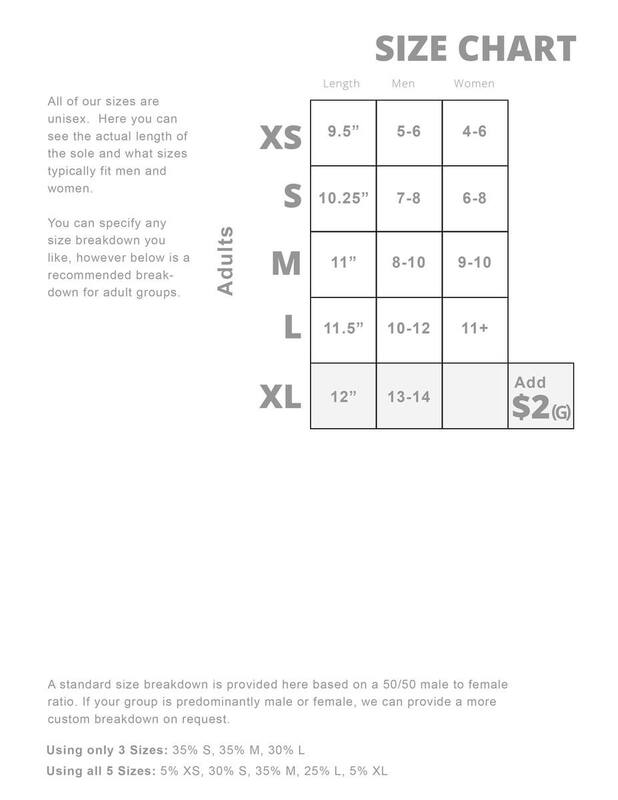 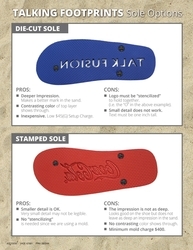 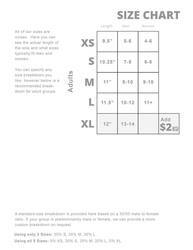 Imprint Area: 3/8" x 3" on Strap, Heel or Midsole imprint, see template.